Ex-Virginia governor Bob McDonnell wins spot on Supreme Court docket, on the same day I again see Newt Gingrich at the mall | Jon Katz, P.C. By now, former Virginia governor Bob McDonnell likely has run up attorneys’ fees many times higher than the value of the money and gifts that he and his wife allegedly improperly received, and those fees are likely particularly high when considering that he has a team of lawyers from not just one large corporate law firm but two. The moral of that story is for government officials to be on guard about seeking and accepting items of value while in office, and to be meticulous in timely and completely disclosing the receipt of such money and valuables. Who is going to foot McDonnell’s outstanding legal bills? If he was struggling for money while Virginia governor, he apparently does not have the money from his own assets. Does he really have enough loyalists to cover all his legal fees? At least McDonnell has received bang for his buck from his legal team in (1) convincing the United States Supreme Court to keep him out of prison pending a decision on whether to accept Supreme Court review of his case and (2) on January 15, 2016, convincing the United States Supreme Court to accept certiorari review of his case’s first of two questions presented. Although I do not believe in superstition, it was curious nevertheless that only hours after the Supreme Court granted McDonnell certiorari review, my son and I saw Newt Gingrich — just ten minutes after I for the first time in my life pondered aloud when I would see him again — who himself in the late 1990’s found himself defending against House charges of misconduct in office, beating all but one of the charges against him. 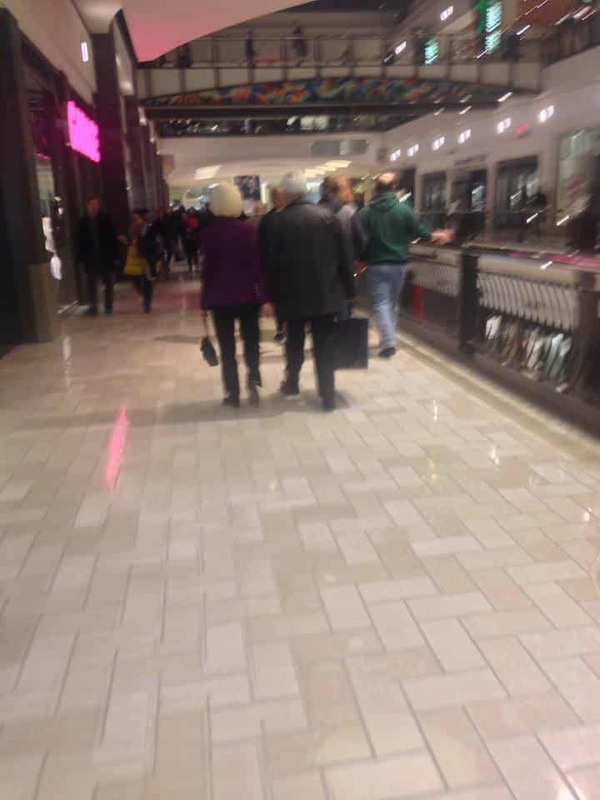 This was my third sighting of Newt, always with his wife Callista, and always at one of the two Tysons Corner, Virginia, malls. Here they are on February 7, 2015, going to a different movie from our choice of Spongebob. On a more serious note, though, Gingrich and McDonnell both learned the hard way about how one’s political ambitions can fizzle by not maintaining a reality and reputation of meticulously clean conduct in office. Back to Bob McDonnell, had the shoe been on an opponent’s foot, would McDonnell have spoken out for them to be better treated through the prosecution of the case? As a politician, McDonnell seemed to sound the conservative cry of law and order over any focus 0n civil liberties. He climbed quickly politically to become state attorney general and then governor, after graduating law school in his thirties, supported the death penalty and other so-called core conservative agenda items, and denied execution clemency to Teresa Lewis, claimed by her supporters to have been borderline mentally retarded, and consequently the first woman executed in Virginia since 1912. However, McDonnell is no less deserving of justice than anyone else, and perhaps his criminal court ordeal has made him more compassionate for criminal defendants. On the other hand, McDonnell’s huge legal bills underline how unjust the criminal justice system is for the vast majority of people whose financial means limit what they can afford for expert witnesses, other expenses, and the necessary legal defense team. McDonnell’s choice of his legal defense team is all about expediency, and I do not fault him for that. That is how we see his legal team including otherwise strange leaders in the form of Hank Asbill, whom I know personally and who I doubt would ever feel comfortable prosecuting; and former United States Attorney (W.D. Va.) John Brownlee, who prosecuted for ten years as an assistant United States Attorney in Washington, D.C., and next as a chief U.S. attorney in western Virginia, and supported the death penalty in his failed bid to become Virginia’s attorney general. For more background on McDonnell’s appeal, go to ScotusBlog.